List of grammar words puzzle to decode using letter substitution. This printable puzzle is great for grade 7,8,9 students. 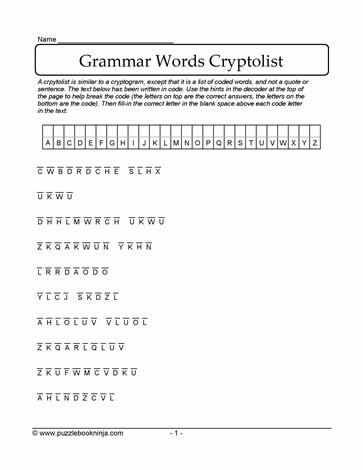 Download this grammar cryptolist to challenge friends and family.